Root canals are valuable dental procedures used to treat and preserve teeth with badly infected roots. The pulp is the living portion of the tooth that extends into the root and contains nerve endings and tissues. When it becomes infected, patients can experience pain, swelling, and even total tooth loss unless treated. Root canals remove the damaged parts of the tooth and the infected root. In some cases, an antibiotic is prescribed to help prevent further infection within the tooth. The organic portion of the tooth that remains may be restored using a cap or crown that provides a natural appearance and normal tooth function. But local anesthetics and advancements in modern dentistry have made root canals highly tolerable procedures that are often no more uncomfortable than a standard filling. Upon completion, a restored tooth that has undergone a root canal will blend in with surrounding teeth and be virtually undetectable to the average eye. More than 9 out of 10 root canal procedures are successful, and most treatments last many years or even a lifetime. You could be a candidate for a root canal if decay or damage has allowed bacteria to infect the pulp inside your tooth. A root canal could also be the right treatment for you if you prefer to preserve as much of your natural tooth as possible instead of extracting both the healthy and diseased portions of your tooth. 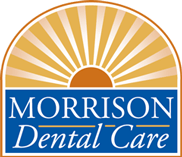 For more information about root canals and whether they are right for you, schedule a dental exam and consultation at Morrison Dental Care today! If you decide to undergo a root canal, the first step in your procedure will involve a local anesthetic. Once your tooth root is numb, Drs. Lewis and David Morrison will remove the diseased portion of your tooth pulp and potentially treat the tooth for possible bacterial infections. The tooth will then be sealed and filled before being restored with a crown.